Further, it said that the fact that a candidate has worked with a lawyer and is conversant with the profession is irrelevant. It has submitted that the higher qualification obtained under the distance education method cannot be equated with the scheme of 15 years of education in any manner and a graduate of an open university with no formal education cannot be expected to have a mature understanding as compared to those graduates who have formal education." 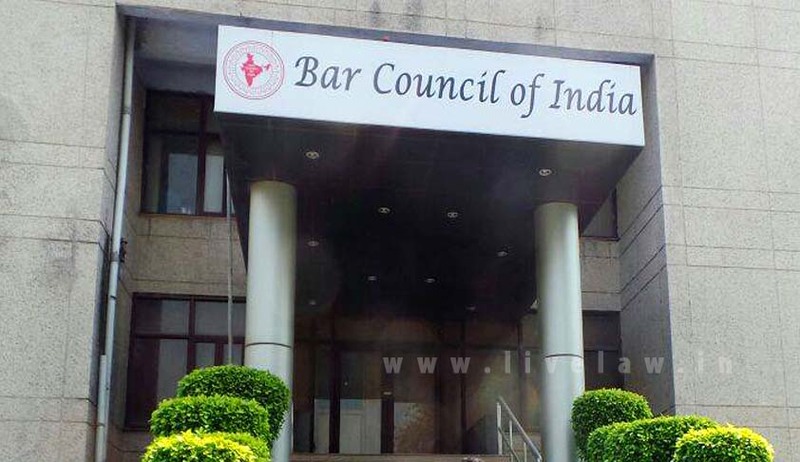 The BCI said that the Bar Council of India Rules, 2008 were based on a rational discrimination between the regular and non-regular (open learning) students for the betterment of the legal profession. “Graduation is 15 years of education (of 10+2+3 years) and it cannot be reduced to a mere three years of distant education. Therefore, the exclusion of the candidates having no pre-graduation education provided under the Rules cannot be faulted with, especially when it concerns admission in a specialised professional course,” said the BCI in its affidavit filed before the Supreme Court. The affidavit has been filed in response to a PIL by K Shravan Kumar who has challenged the validity of Rule 5 which bars those not following the 10+2+3 system from admission in law courses. He alleged violation of his fundamental rights to equality, to education as well to earn his livelihood. But the BCI has taken the stand that there is no indefeasible right of a person in getting admitted to a course of higher professional education unless he fulfils the conditions laid down by a regulatory body, which in this case was the Commission. “A right of a person to practice a profession cannot defeat the objective of excellence and merit in profession. Further, it is quite incorrect to aver that the impugned rule takes away right of livelihood as the profession of law is not a means to earn livelihood, but it is a noble profession intended to serve the society,” stated the BCI in its affidavit.